Owning a home comes with a wide range of advantages, not the least of which is building equity over time. 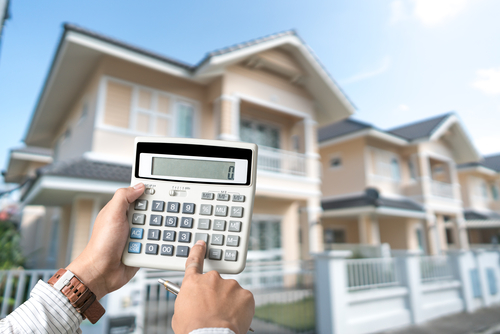 In a sense, you might consider your mortgage payments as contributions to a savings account, which is augmented by the appreciation of the property. If you're considering a major expense, a home equity loan from Peoples Savings Bank in O'Fallon, MO, allows you to leverage the value of your home without selling it. Because it's secured by the value of your real estate, a home equity loan provides some considerable advantages over other borrowing options. For example, while the interest rates are generally higher than what you might get on an initial mortgage loan, they're significantly lower than almost all credit cards or other types of loans most banks offer. This makes them a popular funding source for parents sending their kids off to college, families planning extended vacations, or those facing unexpected expenses. As a trusted member of the local community, Peoples Savings Bank offers a variety of home equity loans, with various terms, competitive interest rates, and a variety of repayment schedules, so you can pick the best option for yourself. Getting a home equity loan can be a confusing process, which is why the friendly professionals at this local bank take the time to walk you through, answer your questions, and ensure you get a home equity loan or line of credit that best meets your needs. As a member of the FDIC and an Equal Housing Lender for over 80 years, Peoples Savings Bank has provided residents and businesses throughout the O'Fallon area with high-quality banking products, personalized service, and the individual attention you deserve. Find your nearest location online, call (636) 561-5500 to learn more, or stop by any branch to discuss your home equity loan options today.